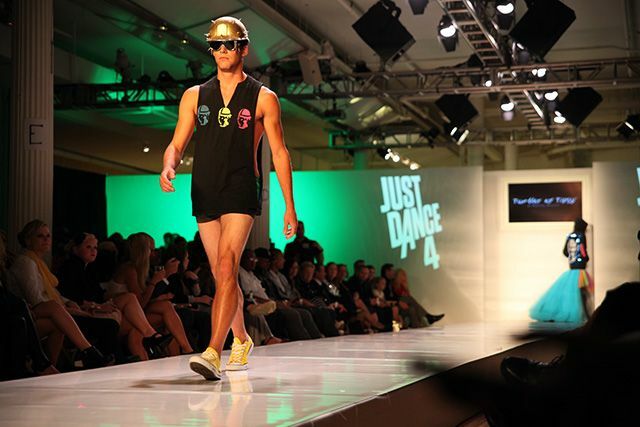 Earlier this week I had the chance to attend the Just Dance 4 Fashion Show featuring the newest Tumbler and Tipsy line (designed by Michael Kuluva). All the looks were inspired by the energy and feel of Just Dance 4 which I was tempted to try out before the show began. I'm pretty sure I would have made a fool out of myself in public though, especially in my wedges. So cool! These pictures are gorgeous...Fashion Week should hire you! The spiked microphone and dress with the top hat are my favorite items from the show. Top hat pic is stunning. These colours are amazing! I love that huge gown. It's beautiful.